With skilled brushwork, colors rendered in glorious water color, and artist Alex Colombo's signature "lots of dots" style, each of these designs is masterpiece unto themselves. 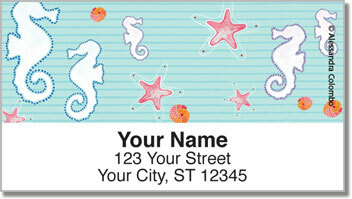 If you're a fan of the ocean, how can you help but get these gorgeous address labels to bring a little of seaside fun into everyday life. 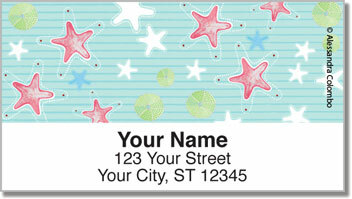 These labels feature a convenient sticky backing. 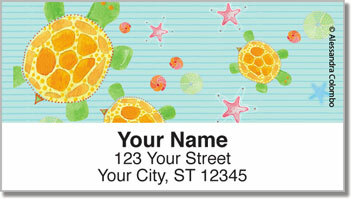 It's easier than ever to peel and place them on a letter or envelope to add a personal touch to your mail which is sure to save you a ton of tedious work. 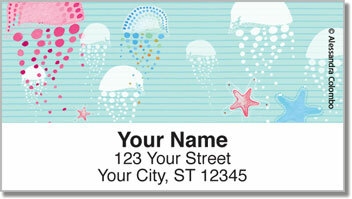 When you're looking for something a little extra in your letters, order these beach address labels today!